Perhaps nothing is more stressful to a pastor's wife than a conflict within the church. Not only does she have the heart-wrenching experience of seeing her Christian sisters, spiritual mothers, and precious daughters-in-the-faith quarrel and fight with one another; not only does she hear murmurings (or, worse, sudden silences) as she walks down the hall on Sunday mornings; not only does she have to carefully guard her own tongue and actions at every minute to promote peace and avoid escalating the problem; she also helplessly watches conflict's toll on the church's pastor, her beloved husband. Thankfully, over my years in various churches, the conflicts have been few. But every church faces conflict to some degree, and each of us could use help to navigate those situations. This is why I was so thankful to receive a copy of Redeeming Church Conflicts: Turning Crisis into Compassion and Care by Tara Klena Barthel and David V. Edling. This recent reprint (it was originally published by Baker in 2012) is a gift to the church for its clarity and biblical wisdom. To someone in the middle of a church conflict, the complex knot of spiritual and material issues, contributing factors, and personalities can appear impossible to understand, let alone untangle. As emotions rise and hope sinks, everyone in the church experiences distress, and, amid the confusion and hurt, a positive path forward often seems unclear. 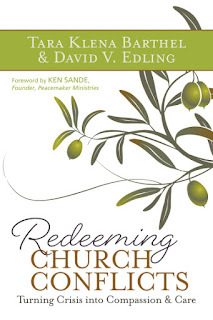 In this book, Barthel and Edling (both experienced conciliators/mediators) offer a warm, biblical, and careful roadmap for navigating church crises. "Redeeming church conflict is less about resolving specific problems than it is about seeing conflict as a means by which God is growing his people into true saints, true eternal children who are being continuously conformed to this holy image." While not ignoring the specific, material concerns that are the public face of church conflict, the authors very helpfully remind readers that much more is actually at stake. Lest we begin to think the expensive new building project, the Sunday school curriculum, or the feuding individuals are the biggest issue we need to consider--and then "solve"--they constantly point us to the greater importance of God's glory and the good of our neighbor. Only with this eternal perspective can churches begin to untangle the knot of obvious issues. 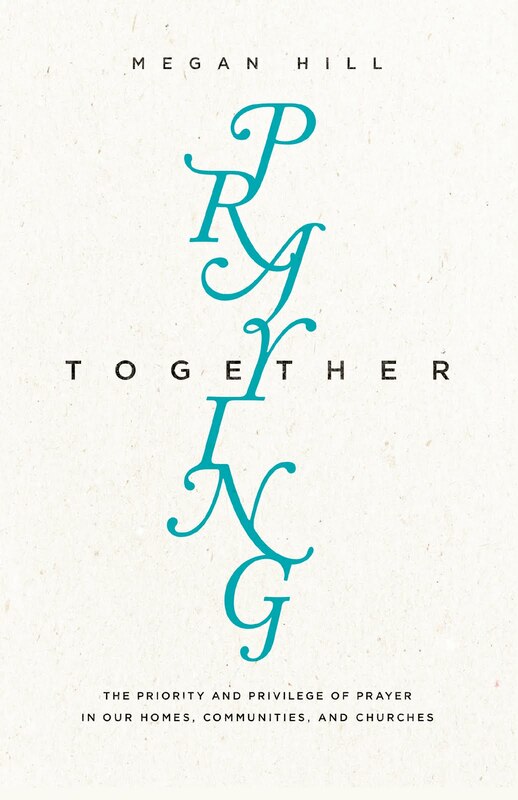 To do this, each chapter uses the pattern of the church in the book of Acts (especially Acts 15) combined with specific contemporary examples from the authors' mediation cases to define and illuminate a path toward church healing. Readers of material from Peacemaker Ministries will recognize many of the same helpful principles, applied here to a church setting. As a pastor's wife, I was particularly challenged by the authors' reminder that no one is "neutral" in a church conflict. As righteous (and safe) as it might sound to say, "I'm just staying out of it," Barthel and Edling admonish their readers: "You are either part of the solution or part of the problem--there can be no fence-sitting. Avoidance may feel better in the short term, but it will never help any of the people involved to grow in grace. . . ."
Perhaps surprisingly for a book about sin and its fruits, these pages are filled with hope. Through the words of Barthel and Edling, church members and leaders will begin to see their conflicts as opportunities for the glory of God. And whether your church is currently in the midst of strife or proactively seeking to avoid it in future, this book is an excellent guide. Barthel, Tara Klena and David V. Edling. Redeeming Church Conflicts: Turning Crisis into Compassion and Care Reprint: Hendrickson, 2016. Sounds like a helpful guide! Jual obat aborsi cytotec misoprostol pfizer asli Cara menggugurkan kandungan dengan obat penggugur kandungan ini telah memberi tingkat keberhasilan 100% . Jual obat aborsi bandung, Jual obat aborsi batam, Jual obat aborsi makassar, Jual obat aborsi palembang, Jual obat aborsi semarang obat penggugur kandungan, obat aborsi secara online untuk membantu anda dalam hal aborsi sendiri. Jual obat aborsi jakarta, Jual obat aborsi bekasi, Tips Sebelum Membeli Obat Cytotec di Jual obat aborsi malang.